Snipe Dales is a nature reserve and country park to the south-west of the village of Hagworthingham, not far from Horncastle. 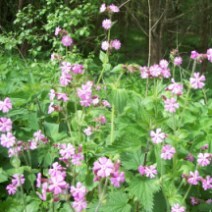 Run by the Lincolnshire Wildlife Trust, it's open to the public. 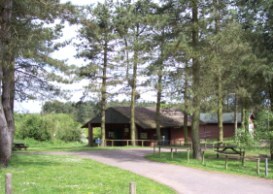 Facilities include car parking at both ends, a picnic area, toilets, and benches. There are also several information boards around the park which give details of the plants and animals you may be able to see. Snipe Dales is split into two sections, the country park and the nature reserve. Dogs are welcome in the country park, but they are not allowed in the reserve. There are signposted routes of various lengths, from short strolls to several miles long. There is a link path to Furze Hill, an outlying extension of the reserve to the east of the main country park. However, this path may not always be open. This amenity is somewhat off the beaten track, since it's nowhere near a rail link and it lies some distance from the relatively small town of Horncastle. As a result it's relatively unspoilt and quiet. The disadvantage of this seclusion is that most visitors will have to arrive by car, which is hardly the most environmentally friendly way to enjoy this wildlife haven. There are a few small streams running through the park, as well as a number of ponds. 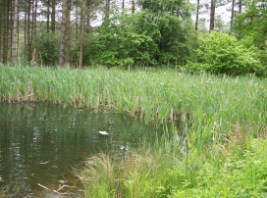 These are a habitat for dragonflies and damselflies. 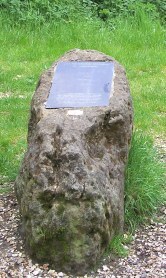 The stone pictured on the top right marks the Greenwich Meridian, which runs through Snipe Dales as well as places such as Grimsby, Louth and Boston. The first seal pup of 2012 has been born at Donna Nook. Let the adoration commence.